A large selection of pouches that offer maximum safety and meet a wide range of needs. Durable, reliable sterilization reels in a number of materials, with a range of characteristics. They are ideal for sealing blister packs and it is possible to print on them. Test for Class B autoclaves to evaluate the penetration ef ciency in porous loads. The sealing lever is ergonomic and safe and its frontal position simplifes the packaging operations. 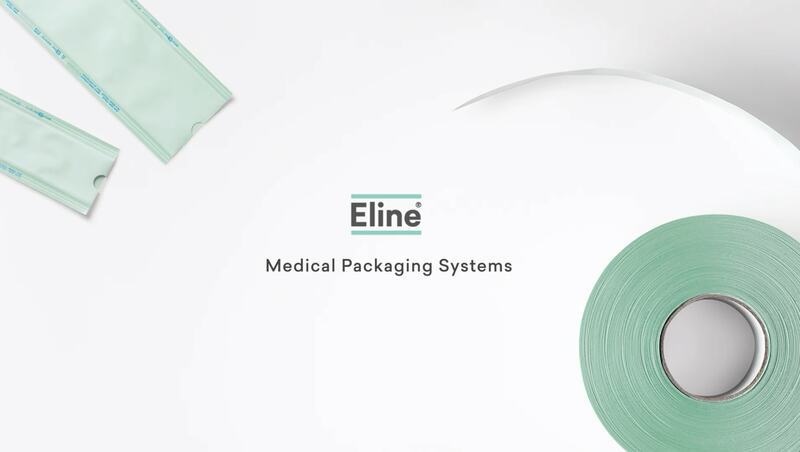 E. Line is a leading manufacturer of high-tech, flexible packaging for medical purposes that operates in more than 40 countries worldwide. It has now become deputy manufacturer of reels and pouches for medical and dental purpose in Europe after joining the Euronda group, which is a top manufacturer of sterilization equipment and disposable products for the dental market. E. Line’s highly customized service, outstanding products and compliance with the strictest standards make it an exceptionally accomplished partner both for manufacturers of sterilized instruments and for sterilization professionals who provide services in the medical field.